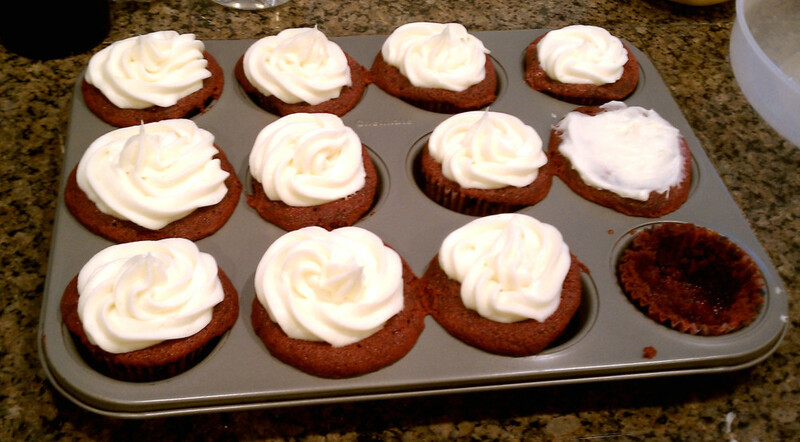 My classmates seem to really like red velvet cupcakes, so I’ve made them several times for birthdays these past few months. Personally, I’m not a fan of 3 tbsp red food coloring and the consequences to my fingers, but this recipe was actually really tasty! Unfortunately, taste was their only redeeming quality, as I put a little too much batter in each cup and they became great ugly overflowing mounds of red. Plus, the middles sunk in! I wonder if it had something to do with oven temperature being too high and the cake rising too quickly without solidifying the batter underneath or leaving the batter out for too long and having the vinegar/baking soda reaction burn out or replacing buttermilk with yogurt or…. Oh well. Nobody can tell because the cupcakes are covered with frosting. One cupcake had sunken in all the way though, so I just ate it. Nobody has to know it ever existed. If you’re making this frosting recipe, I’d probably 1.5x it or something. I only had enough for ten cupcakes out of the dozen, even after scraping down the sides of the bowl and abstaining from licking the spatula. You can find the original recipe at Brown Eyed Baker. 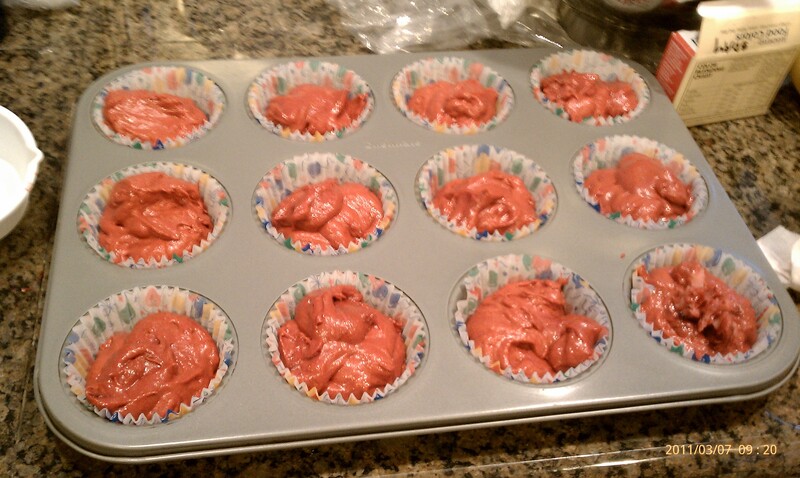 I used 2 tbsp of food coloring + 1 tbsp water instead of 3 tbsp food coloring, and as you can see the cupcakes turned out plenty red! Also, I substituted the 1/2 cup of buttermilk with the same amount of Trader Joe’s vanilla yogurt. Ahh it’s been a long time. Sorry! School is becoming a nightmare (but the best kind), and I haven’t had much time to making anything worth eating, much less blog about. Davis was hit by a rather odd series of cold fronts the past few weeks, so I’ve been going with lots of canned soup and pasta to keep warm. A few days ago, though, I decided that I couldn’t take it anymore. I was so sick of “Vegetable Medley” or “Italian Style Vegetable” that I decided to break out the knives and get some fresh vegetables in my tummy. Have I ever mentioned that there are no Asian supermarkets in Davis? 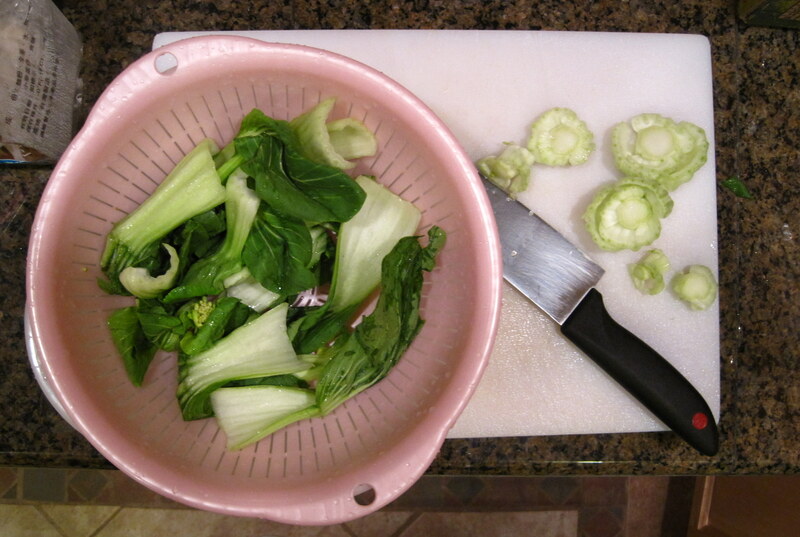 This bok choy was imported from the Bay Area when my parents came to visit. 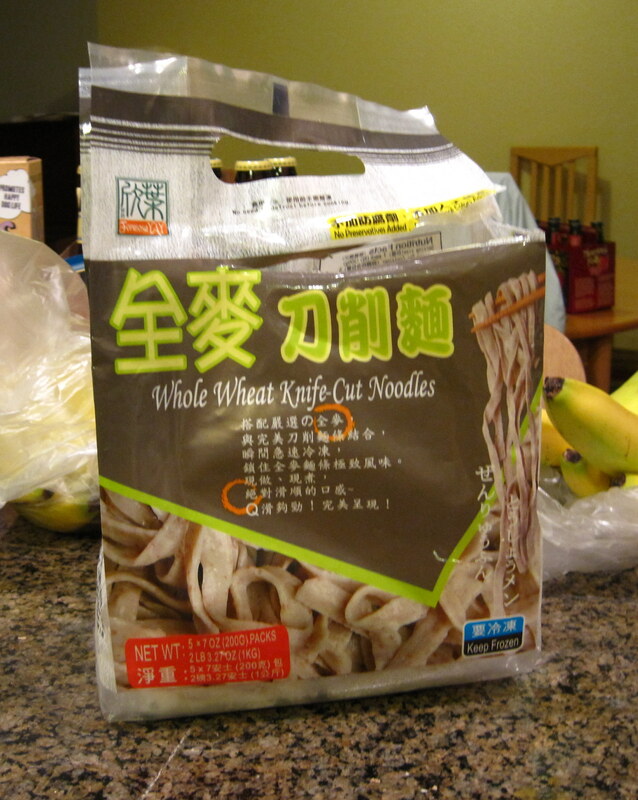 They also brought me these whole wheat knife-cut noodles. I have a confession to make. If necessary, I could live on noodles, specifically fat, chewy noodles, for the rest of my life. That, and probably a multivitimin. As a kid, I used to steal noodles from my family members’ bowls and replace them with meat/vegetables/other miscellany floating in soup. 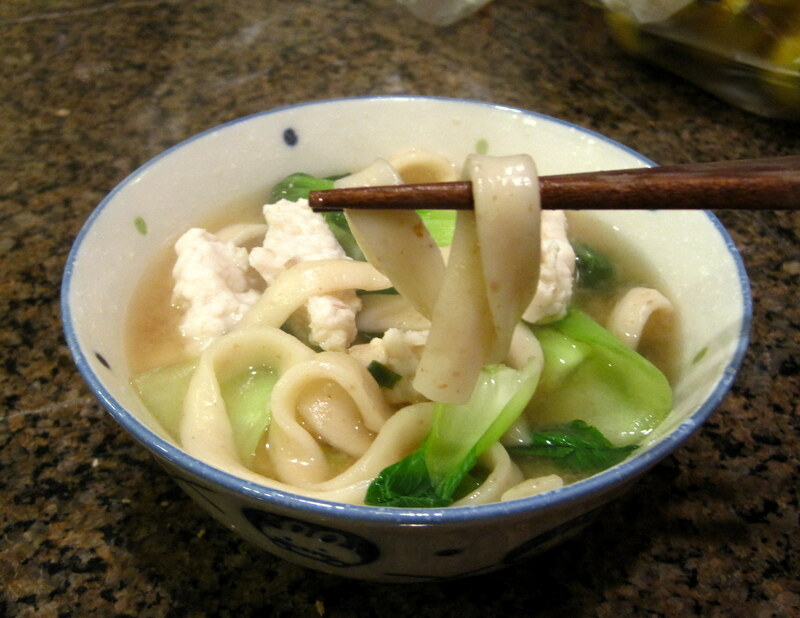 Anyway, I was bit wary of how frozen noodles would taste, but these turned out really, really well! They only require 5-10 minutes to reach their chewy, QQ consistency. Throw in a bit of miso paste, and you’ve got dinner. The lumpy white things floating in the soup were also from my parents. They’re apparently mushroom strips, but they have the consistency of very chewy fish balls. I’m not sure how I feel about them just yet, but the package say they have a fair amount of protein in them. They aren’t bad, but I’ve never really been a fan of imitation meat. Although these claim to be mushroom. Huh. Length of procrastination: 15 minutes! Then back to studying.